Making the world greener by recycling the ferrous and non-ferrous metals we use every day is one thing. Taking care of the communities that provide us that scrap is a whole other ballgame. Or, in this case, a hockey game. Alton Materials treated the kids at River Bend Head Start to a night of St. Louis Blues hockey in the ultra-fancy McBride and Sons Home Suite. 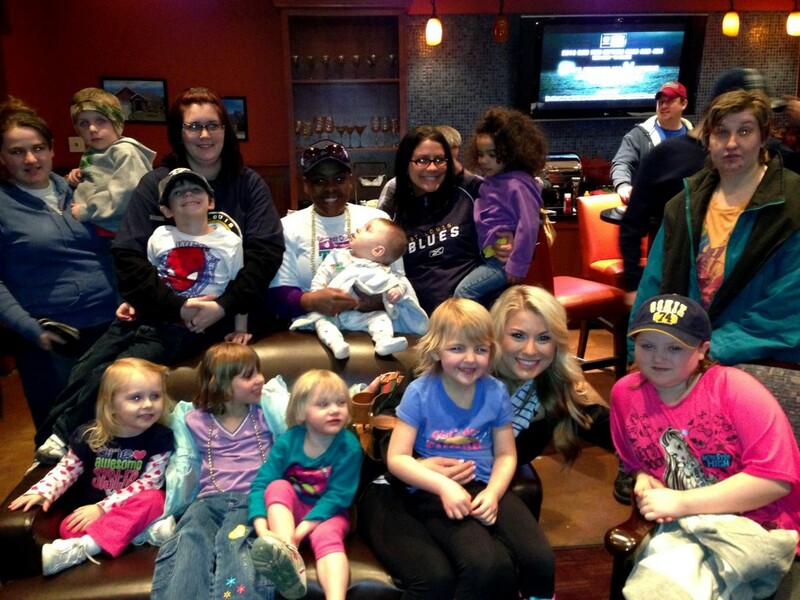 The children, along with their parents and some of the Head Start staff, were given the V.I.P. treatment, complete with thirty of the best seats in the a house, an exclusive in-suite buffet featuring chicken fingers, nachos, cookies and other goodies, as well as a visit from Blues’ mascot Louie! And having it all capped off with a big Blues win over the Phoenix Coyotes with a score of 0-3? That was the “icing” on the cake. Providing high-quality scrap metal recycling and collection services are just a few of the ways Alton Materials shows its commitment to the area it lives and works in. By working together with local groups like River Bend Head Start, we’re helping to make our community just as strong as the steel we acquire. Stay informed on our public efforts. Click below to sign up for our newsletter and stay informed on the charities and charity events we support in the St. Louis area.